Collector cane with writer system with inkwell, pencil holder and pen holder. The handle contains the miniature photo of 2 "beautiful ladies" Stanhope process. France c. 1900. Literature: illustration in the book of C. Dike "Cannes to System - A fabulous and unknown world" Chap. 14/5 p. 137 Dimension: length of 85.4 cm. 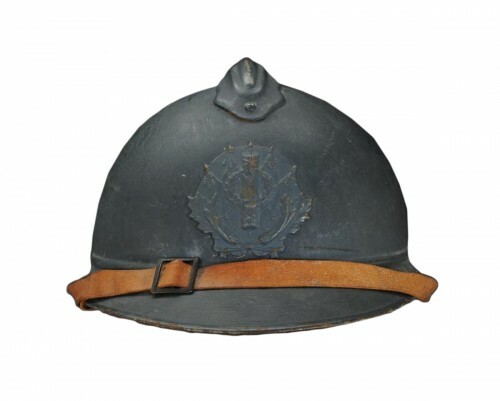 Casque adrian de l'intendance, modèle 1915, Première Guerre Mondiale. Indo-Persian dagger called « Khandjar », Early 20th century.